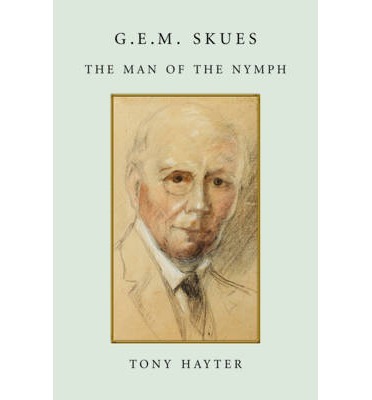 I’ve just finished reading a fascinating biography by Tony Hayter entitled “GEM Skues – The Man of the Nymph” (ISBN 978-0-7198-1058-9). 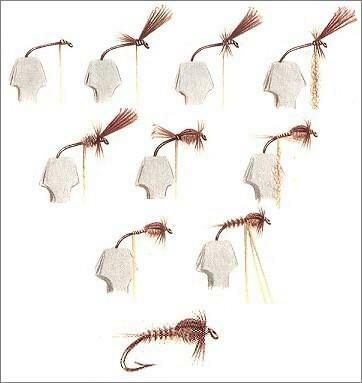 Most of you that fish with a nymph would probably have heard of George Edward MacKenzie Skues and how he almost single handedly developed the technique of below-surface fly fishing for sighted trout with nymphs. Such is his legacy. This excellent book is crammed with detail and explores many hitherto unrevealed facets of Skue’s life. For the first time it sets into perspective his early clash with Halford (the high priest of dry fly purism) and chronicles the inevitable collision with Halford’s disciples in 1938. This clash in itself is remarkable considering it came nearly a quarter of a century after Halford passed away. Skues was born in 1858 in Newfoundland and died in 1949. He was the first born son of George, a lieutenant in the Royal Marine Light Infantry. His father was regularly posted to foreign countries and his mother, as was the custom, accompanied him. When he was seven his parents departed for India and left him behind at boarding school. He never really saw his parents much after that, other than when they returned home between postings. This was to have a dramatic effect on shaping his personality. Boarding school life was incredibly tough and it got much more trying after he won a scholarship to attend the infamous Winchester College aged 14. At Winchester he was subjected to the sort of bullying epitomised in the novel “Tom Brown’s School Days”. His early attempts at fishing almost always ended in failure due to lack of reliable tackle. Rather than simply give up though he persevered and turned adversity into triumph….eventually. In his early fishing career Skues was essentially a dry fly fisherman and an affirmed disciple of Halford’s methods. In fact, it may come as a surprise but Halford actually proposed Skues for membership of the exclusive Fly Fishing Club of London. They were initially friends but Skues eventually began to question the dry fly dogma and plot his own course, based on his acute observation of trout behaviour. This immediately strained their relationship which soured completely after Skues published his first book “Minor Tactics of the Chalk Stream” in 1910. Skues pioneered the technique of fishing for sighted trout with sub-surface nymphs. He largely focused on fish that were still close to the surface but would use small amounts of weight in his dressing to sink flies slightly deeper in the water column. Frank Sawyer in the 1950’s built on this approach and used more weight to sink flies to fish holding near the bottom. The dry fly purists classed Skues methods as wet fly fishing even though he was targeting individual trout and essentially fishing sub-surface patterns as though they were dry flies. This criticism raised his hackles and he refuted such assertions in writing for most of his life. GEM Skues also was an unavowed champion of light weight split cane fly rods, especially those manufactured in the USA by Leonard. This was largely out of necessity as he had a wrist injury which made fly fishing with the heavy rods of the day tiring and difficult. The UK rod manufacturer Hardy was the dominant player in the market at the time and heavy rods were their stock in trade. Halford was a heavy rod fan and Hardy used him to reinforce their position which further inflamed the relationship between Halford and Skues. Eventually Hardy relented and started to produce lighter rods but only after many years of bitter exchanges with Skues and his supporters. One thing which became obvious to me reading the book is that Skues and Halford both had obsessive – compulsive personalities. Halford developed a formulaic system for fishing dry flies which simply had to be adhered to, or else. Skues was obsessed with his technique for fishing sub-surface nymphs and spent his life trying to create nymphs which exactly matched the hatch. His fastidiousness in hackle selection and achieving the correct hue and transparency on nymph bodies was well documented. When the two of them were working together their combination would have been formidable. However when they ended up going their separate ways the disagreements became increasingly petty as they attempted to defend their respective positions. Skues honed his craft and developed his theories based on what he observed on the Abbots Barton stretch of the River Itchen where he fished continually for fifty years. He understood this stretch of water intimately and consistently caught fish there even when others struggled. This ultimately was to be his undoing as the syndicate that he was a member of eventually gave him the ultimatum to “fish dry fly exclusively or move on” just before the outbreak of the Second World War. They simply were sick of being out fished and blamed a decline in the fishery on Skues and his nymph fishing. He was crestfallen but chose to leave rather than fight as he was nearly 80 years old by then. Skues fished other rivers successfully after leaving Abbots Barton but his heart never left the river he loved. A sad end to a gripping story. The thing which struck me most while reading the biography is how the sport of fly fishing seems to have been dominated by arbitrary rules and dogma from the outset. Even NZ has not been spared this. Remember the fight over wet line and nymph fishing on the Tongariro in the late 1980’s – late 1990’s? I wonder how Skues and Halford would view the way nymphs are now fished in the Tongariro? I’d like to bet they would decry the use of bombs and in a delicious irony join forces to try and change the rules to outlaw them. Maybe it is time for everyone to open their minds and just allow anglers to fish how they want to within the rules, without fear of censure or rebuke. I thoroughly recommend this book to all who have an interest in nymph fishing.